Distance learning allows you to study wherever you are, arranging your studies around your work or family life. You learn using study materials and online learning resources that are designed for active learning. 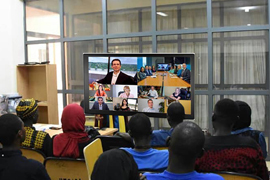 You can also connect with other students on your course around the world via your virtual learning environment.